I have worked with Jamie and Alchemy Technical Consulting Limited on two dance shoe projects over several years. I wanted to create a dance/ballet shoe for small children that would motivate them to point their toes when learning to dance. My idea was to create a magical ballet shoe that would flash led lights when they pointed their toes correctly. The problem being that a ballet shoe has virtually no sole and is of very thin fabric/ leather. Any sensor or components had to be able to be attached to the shoe in a safe and comfortable manner. Jamie identified a flexible sensor that would detect the required movement, he then designed the software and circuit board to include flashing led lights as a visual aid. This ballet shoe is designed also to be a teaching aid. 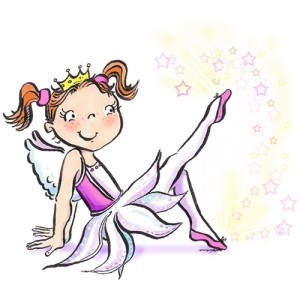 To help market the shoe I developed a little fairy character called Twinklesteps who has shoes that sparkle when she dances. I wanted to produce a ballet shoe that could be used as a ‘Dressing Up’ shoe. This time I wanted a shoe that would sparkle whenever the children danced and was not reliant on how they pointed their toes. Jamie again sourced the sensor and designed the software and components to fit comfortably and safely to the ballet shoe. This shoe is now ready to be marketed. The biggest challenge with both these products was finding a way to attach the unit safely to the shoe without causing any discomfort to the children. Alchemy has provided all the prototyping, software design and manufacturing of the units. I would like to thank Jamie and Alchemy Technical Consulting Limited, for all the support they have given me from the concept development right though to getting the product ready for market. I highly recommend the team at Alchemy Consulting Limited for all your specialised electronic needs.